The semester started here at the 10th of February, but I decided to come already at the 2nd so that I had a week to make myself comfortable in the city. I used this week to check out the university, which is around 15 minutes by metro from the city centre, how to issue my public transportation card, and to already get familiar with my living environment. I already took care of finding a place back in Maastricht, and got with help of a fellow student a place in the perfect apartment in Lisbon! It’s huge, renovated, and in the middle of the old centre which is close to everywhere you want to be during the day and the evening! Until thus far, I see Lisbon as a very sweet place to live: the culture is nice and the people are happy (probably because it’s already 20 degrees outside), the city is beautiful, the food (sweet things and fish) is nice, it’s next to a river (two minutes walking for me), pretty beaches are nearby and not to forget living is a bit cheaper here compared to The Netherlands (beers for around €1 here!). A big difference compared to my bachelor exchange in Madrid was that here, in Lisbon, people actually take the effort to talk in English to you! This is obviously very helpful because ‘eu não falo muito português’ and ‘eu não entendo’ are the things I say most right now :). People do tend to take things a bit slower here, once I stood 20 minutes in a line at the supermarket with only three people for example, but that just takes some getting used to I guess. About the university: from the outside it looks fine, it has the standard facilities that you expect from a university (library, places to copy and print, a cafeteria) and sports facilities are nearby so that’s fine as well if you’re interested in sports. I’ve been welcomed very warmly: there is one person (my ‘buddy’) who is there for every question I have, who was willing to pick me up from the airport and is there to show me more from the city or whatever I want so that’s really nice. There was an introduction day at the 10th where we had an information fare about everything we might need (information regarding housing, SIM card, public transportation cards, sports, we got a welcome package with some information on the city and the university), we had a formal introduction of the important people at the university and a more informal meeting session with our fellow master students. Furthermore, I got a personal welcome from the incoming coordinator of the university which I thought was very nice of her. A really sweet thing is that after the first week of courses, you’ve got the course changing period for one day: the possibility make a change in your courses. Furthermore, there are active student bodies such as the ESN (European Student Network) and the Student Union. 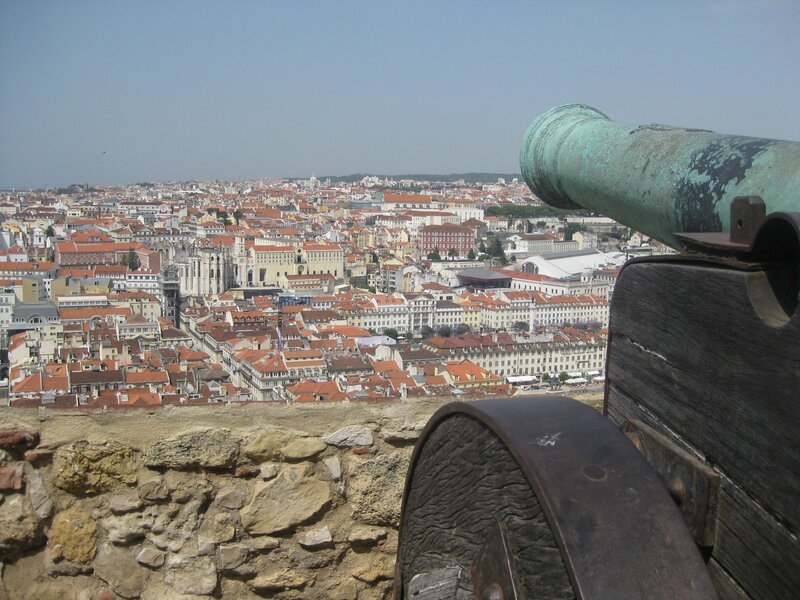 They organize cultural trips, to for example Belém (a part of Lisbon) or Porto, and other activities such as wine tastings and parties. This creates a nice atmosphere and it makes sure that you make a lot of new friends in a very short time span! The courses are a different story as I was used to at Maastricht University. They are three hours in a row divided in a traditional lecture part and afterwards a discussion part (case study or debate). They involve a lot of preparation and group work and I have four of them at the same time. Four courses are a fulltime workload here and since I am also writing my master thesis in the meantime, it’s already very (very) busy for me right now. I didn’t have much time yet to do things that I really like (football, surfing, sightseeing, socializing) but it has already been rewarding though. The courses I follow right now are Services Marketing, International Business Challenges, Advanced Strategic Management and Strategic Management Consultancy Project. The excellence of this university also shows in its teachers: for example at the IBC course we have two teachers who are board members of several big organizations such as Euronext Lisbon or the supervisory board of the Caixa bank. Their words are valued because of their experience the ‘real world’, and this makes their lectures very interesting to me. The course I wanted to talk about was the SMCP, which gives me some consulting experience in practice and is therefore very interesting. I am currently with four other group members part of the consulting group which works one day per week for a strategic consulting project at BANIF, a large financial services provider which has presence in Portugal, Brazil and some more countries. In the end we will be graded based on evaluation of the teacher, the client (BANIF), and the quality of our recommendations. The fact that I can use what I learned in practice now and experience the way that Portuguese people work makes it a great experience! All in all it’s quite demanding right now and I do not have too much time to do other things besides studying, but it gives satisfaction to do things that make you a more skilled person. Luckily for me my girlfriend already spent some time here as well which was really nice, setting my mind on other things then studying for a few days! I hope that you’ve enjoyed reading and I’ll be back in the middle of the semester to let you know how I’m doing!